As a soft adventure couple, we love the idea of a hiking adventure. We’ve been going on short and long hikes for the last five years and every time we’d complain about our walking boots. Before our most recent trip to Norway, we decided to embark on a shopping adventure and try to find the best walking boots which needed to be durable, waterproof, breathable and also comfortable. To tackle all sort of terrain you definitely need the right footwear. So we started looking for a pair of walking boots which are not only practical but also fashionable. And let me tell you since I found my dream pair of boots, I can’t imagine wearing anything else. In fact, I started investing in sustainable tops which go my footwear so I can wear my walking boots even in the city. Here is a list with our top pick including an epic buyer’s guide below to help you find your best walking boots. We put together a list with the best walking boots which we tried and tested. Usually, walking boots aren't cheap, and when you are about to have a big investment in the best walking boots, you should expect them to be good quality, reliable, versatile and durable. But above all? You want your walking boots to be very, very comfortable. As a cautionary tale, before I decided what walking boots to keep, I tried several pairs to find the best one. Each foot is different so what works for me, might not feel comfortable for you. That's why it's imperative that you give the boots a good try and only settle for the right pair. 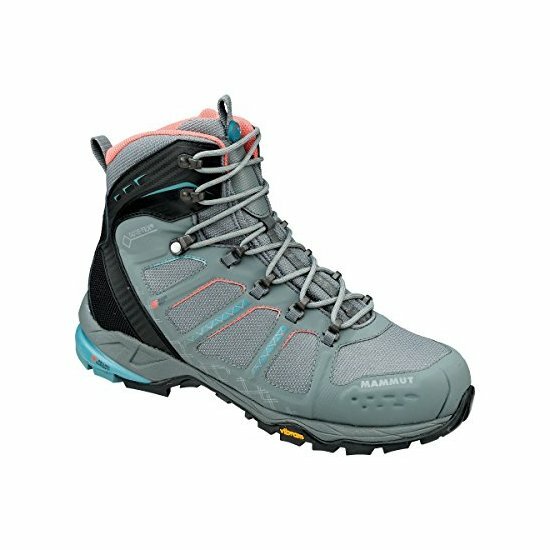 After spending hours researching about walking boots, I put together a list (see below) with the absolute best walking boots currently available on the market. I'm certain one of them will fit you and your needs. This was the case for me, and I'm 100% pleased with my purchase. The absolute best walking boots? 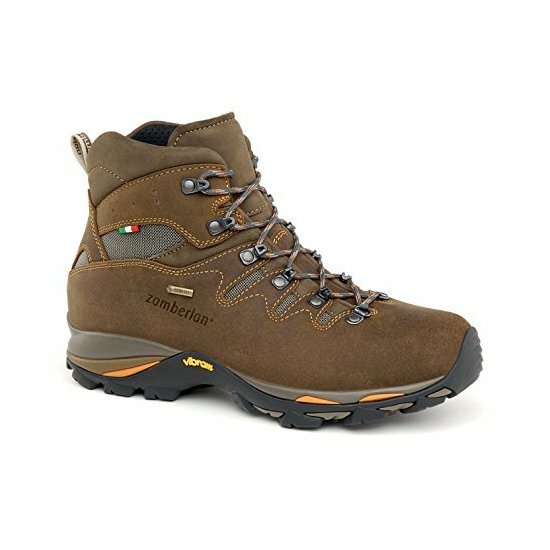 The winner is the Columbia Newton Ridge Plus boot which not only looks amazing, but it's the most comfortable piece of kit I've ever owned. It features Techlite lightweight midsole for long lasting comfort, superior cushioning, and high energy return as well as Omni-Grip advanced traction rubber sole for slip-free movement. After so much trial and error, these boots saved my life. The moment I tried them on, they fit like a glove. Incredibly comfortable, versatile, durable and dare I say fashionable. I actually really love the way they look like, and they work so well with jeans and activewear for walking activities. This women's hiking boot is crafted of a waterproof full-grain leather and suede bootie construction as well as a durable mesh tongue for breathability and comfort during treacherous days out on the trail. Before buying my Columbia boots, Merrell was my go-to brand. I didn't know much about the brand before I met my husband. To be honest, he is the Merrell fan in our household. And rightfully so. He bought his Merrell about 7 years ago, and they are still in perfect condition after hiking muddy trails in the UK, spending a month trailing Switzerland and two weeks hiking some of New Zealand's most beautiful National Parks. I also bought a pair which lasted for 4 years. Pretty impressive right? These walking boots feature a removable insole and a special air cushion which absorbs shock and adds stability. The good thing about Merrell is that neither my husband nor I needed to have an adjustment period with them. They were true to their size and we could both fit a woolly sock in there for added warmth and comfort. You can use them to hike trails with snow and be sure that these awesome walking boots will keep warm and dry for the whole duration of your trip. 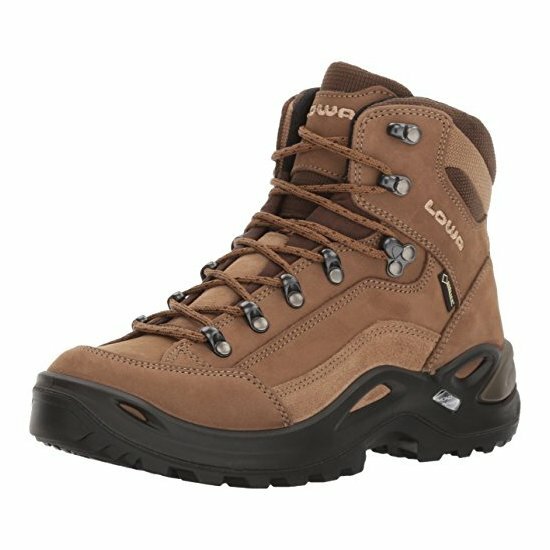 These Lowa walking boots are perfect for the weekend adventurer who needs something lightweight. They feature water-repellent nubuck leather upper and waterproof GORE-TEX® lining. These boots were made to combine versatility and comfort. The Lowa Monowrap midsole technology reduces overall weight while providing extra cushioning and stability. A rugged Vibram outsole and thick, non-slip rubber lugs make these boots ideal for hiking. Lowa has been handcrafting amazing hiking boots in Europe for the last 90 years. I especially recommend this boot because of their outstanding quality. They last for years and provide the needed grip so you don't get blisters at the end of your adventure. They are an all-rounder walking boot which can be used for daily walks as well as walking in low creeks, loose hills and muddy terrain. Waterproof and durable, Hi-Tec were my go-to walking boots for long hikes in the Romanian mountains. I used to wear these instead of winter boots because of the breathable membrane which allowed my feet to stay dry and warm during heavy snows. 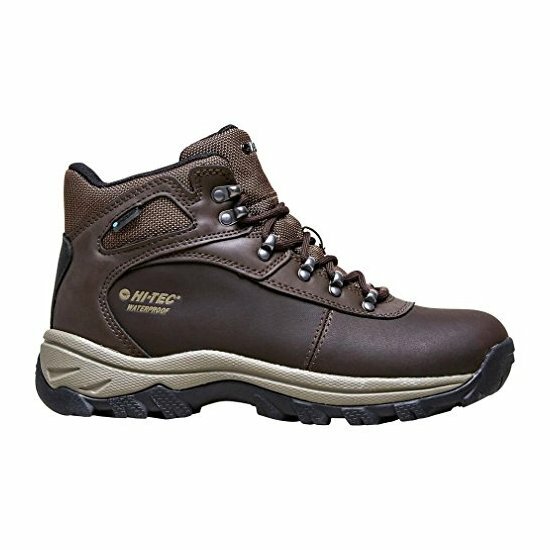 Hi-Tec boots feature a superior cushioning which has anti-odour and anti-microbial properties. 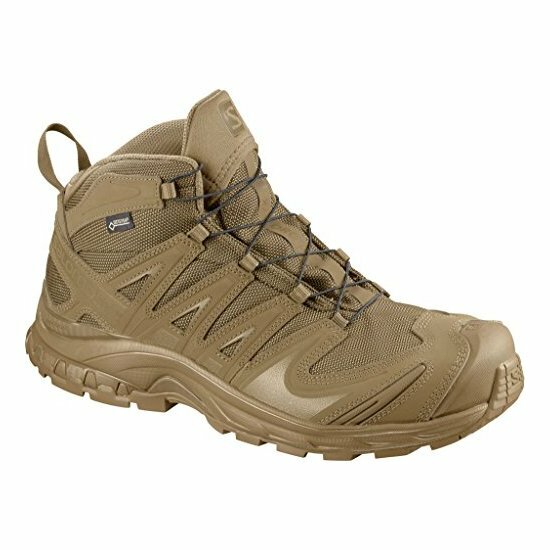 If you love demanding hikes, then this pair of walking boots is perfect for you. Mammut T boots were built to last and keep you comfortable during long days on the mountain. They feature the Mammut's Rolling Concept for a cushy, casual stride over rocks and around tree roots. We love Mammut because as a brand they strive to do a little better and care about our planet. They have a range of vegan options and they state on their website that all materials derived from animal origin come from responsible animal husbandry. They also advertise their ethical production and reduced footprint. Salomon shoes were created in France to enable people to connect with nature. Salomon established itself as a leading brand in outdoors footwear throughout the years. Salomon shoes are lightweight and durable made for stability on the trail. They offer all-around weather protection with added grip and perfect cushioning for your comfort. If you want great performance, fit, and details without the overly technical look Salomon XA Forces is your shoe. Keep soles comfortable for the long trek ahead in the walking boot from Zamberlan. This is a soft, lightweight walking boot which is suitable for trekking with medium-heavy loads. Zamberlan shoes are made in Italy using the best technologies to ensure breathable, waterproof protection from the elements. They are very comfortable, sturdy and stylish. They are heavy duty boots made to ensure a challenging hike. These are perhaps my favourite walking boots when it comes to design. They really look like urban shoes when in fact they were made to endure the trails. Made from premium quality waterproof materials with support technology and an awesome cushion sole for added comfort. 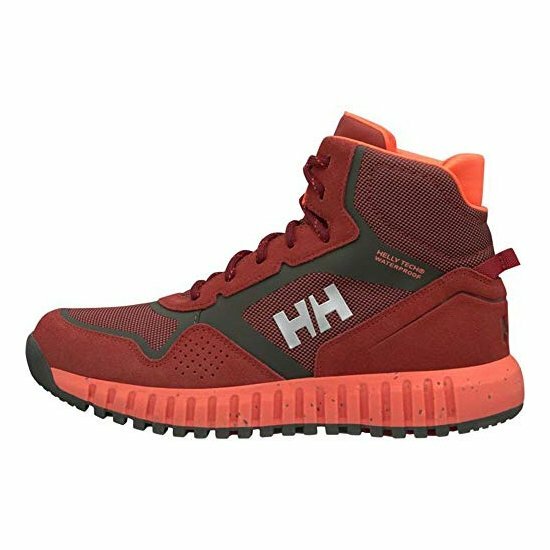 You can use them on a day to day basis to be comfortable and fashionable, then take them on the trail for awesome outdoor activities. I tried them and it was love at first sight. Can't recommend these walking boots enough. Last but not least, one of the best walking boots are from The North Face company, specialised in outdoors. I had these shoes for around 2 years but, my only issue with them was that although I bought a size bigger, they were still not perfect for my feet. This just means North Face shoes are not for me personally, but that doesn't mean their products are not great. After 2 years, the walking boots are in perfect condition even after being used on muddy trails in the UK and New Zealand. Finding the right walking boots is a matchmaking process. No, really, it can take some time to find the right boot suitable to your needs. I tried and tested over a dozen different pairs until I found the brand that suits me best. Your dream walking boots needs to be perfect for how you hike and what type of terrain you plan on tackling. You have a huge array of walking boots to pick from, from ultralight ones to serious heavy duty boots. The most important part? Your walking boots need to fit like a glove. For a very long time, I thought this is not quite possible. Many people told me that boots are somewhat uncomfortable but that's absolutely not true. The moment you try the boots on, it needs to feel perfect. You shouldn't have to "break them in". Some of my boots would feel too rigid, too narrow or would press on the toes. The moment I tried my Columbia boots, I discovered walking boots heaven. They were perfect and never have me blisters. So when you order your walking boots, try them on and walk around the house for a bit. Don't remove the labels in case they are ill-fitting and you need to return them. How to know if your walking boots fit? If you are like me and you never found the perfect walking boot before I've got some tricks for you to be able to find your bliss. Here are a few which can help you tell if the walking boot you ordered is the right one for you. Press your fingers against the sole to check how it deforms. You should feel come cushioning but not enough for the sole to indent a lot or else it won't provide the right rigidity for terrain full of rocks and stones. You should not be able to twist the sole of the boot as that will be too soft for rough terrain. Bend the top of the boot sideways to check how much ankle support your new boot can provide. The stiffer the top the more support you get. It should still feel soft on the inside so your ankle is comfortable when wearing the boot. This is one of my favourite ways to check if your walking boot is the right fit. You should slide your foot forward when wearing the boot and insert your index finger between your heel and the back of the boot. This shows the boot is a perfect fit but not too large to create blisters when walking on the trail. Walk around the house with your new walking boots. Try to pay serious attention to how the boot feels like when fully laced. Are they comfortable? Does your toe get any pressure? You shouldn't feel a squeeze when you take a step. What's the heel like? There should be some minimal slippage but if it's too much, the boot might be a size too large. You should try half a size smaller but remember that you still need to pass the index finger test. An interesting way to check pressure points in a new walking boot is to try them on bare-foot. You should be able to feel if the toes are comfortable or your heel gets rubbed or scratched by the back of the boot. Of course, you won't be hiking bare-foot on the trail, but it's a different way to check if your foot feels great and comfortable in the shoe. If the shoe passes the test, try them again with hiking socks on. When I discovered the paper trick, it was a revelation. No more ill-fitting walking boots for me! So here's what you have to do. With your hiking socks on, trace your foot on a piece of paper and cut the outline carefully. Place the paper outline in your boot firmly to ensure it sits in place. Wear the boots for a few minutes pressing properly on all edges of the boot. Walk around and press your heels, toes and side of the foot. Take the paper out and examine it carefully. If any edges of the paper are folded upwards by more than 1.3 cm (0.5 inches) then this walking boot might not be suitable for your feet. The materials which your walking boot is made of will impact the weight, durability and water resistance. So depending on what you need your boots for, it's worth considering the materials that go into your shoes. Walking boots uppers made from synthetic materials tend to be a little lighter and more breathable. They can also be very durable. Going vegan is also a better idea for the environment and animal welfare. Traditionally, outdoor enthusiasts would buy leather walking boots for durability, but nowadays, synthetic materials are just as good, if not even better. Gore-Tex is a waterproof, breathable fabric which is nowadays used in most outdoor boots. Gore-Tex is fully vegan. 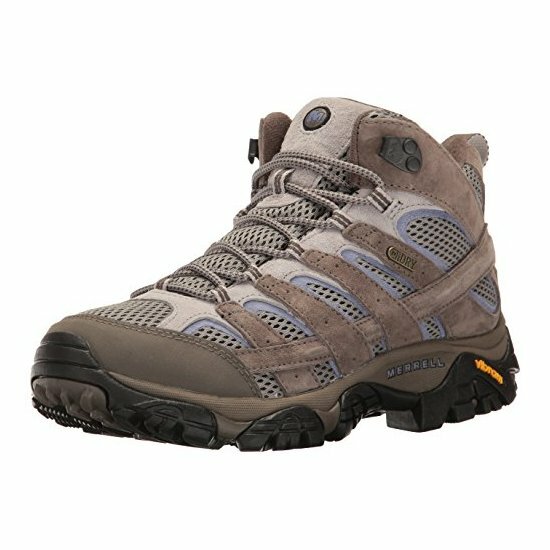 Different boots for different terrain? You want to pick the right boot for your activity. While everyone loves a versatile boot, some might not be as great for difficult terrain so it's time to pay special attention to your sole. The harder the materials, the better for durability. In contrast, the softer, the better the grip. I love a pair of trail runners but those won't be good enough when hiking a seriously difficult trail which requires proper heavy duty shoes. Usually, a walking boot can handle all four seasons, but if you need a winter boot, ensure you go for at least a three-season boot for a more advanced gripping system. I had boots ranging from £50 to £300. Honestly, don't be deceived by brands. It's tempting to go for the top brands out there, but in reality, the walking boot has to be suitable for your needs, feet and terrain. It doesn't have to break the bank either. 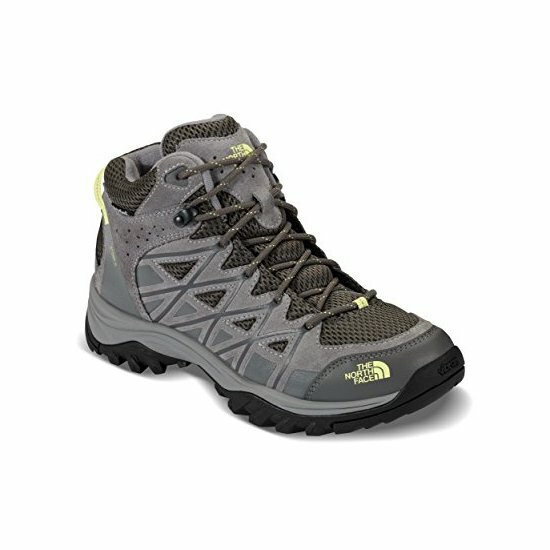 As mentioned before, I had a pair of North Face boots which were close to £300 but (as I learned later) were really not suitable for my feet. They caused blisters and issues for my toes. As a novice, I went for the top brand out there because I thought more money can buy better quality. Wrong! 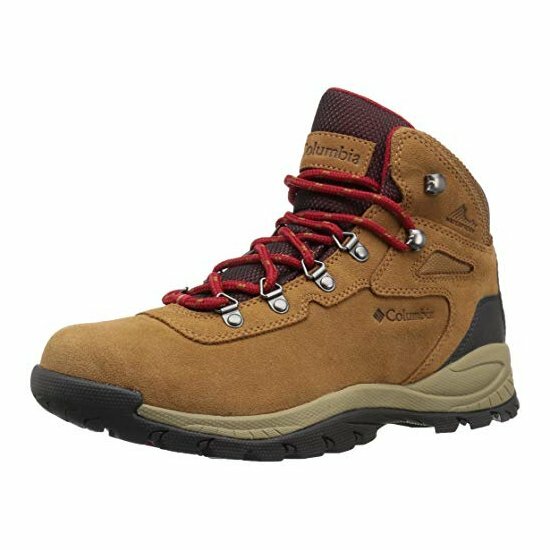 I now have my pair of Columbia walking boots which I purchased for a little over £100 and they are perfect. They are my bliss shoes in which I can walk, hike, drive. They are perfect for outdoors and city life. I wouldn't ever change them. Having said that, walking boots are on the expensive side and not everyone can just afford to spend hundreds of pounds on a new pair. However, as you'll read below, you'll see that walking boots are an investment. If looked after, a walking boot can last even for 20 years. How long should I keep my walking boot for? If you look after your boots then they can last for 20 years. I'm not even joking. But, you do have to clean them regularly, allow them to dry naturally and reproof them every now and then. There is something charming about a worn pair of walking boots, as they represent the hardship or your past adventures. You don't need to replace your boots just because they are a little scruffy. However, it's definitely time to replace the boot if they start leaking.